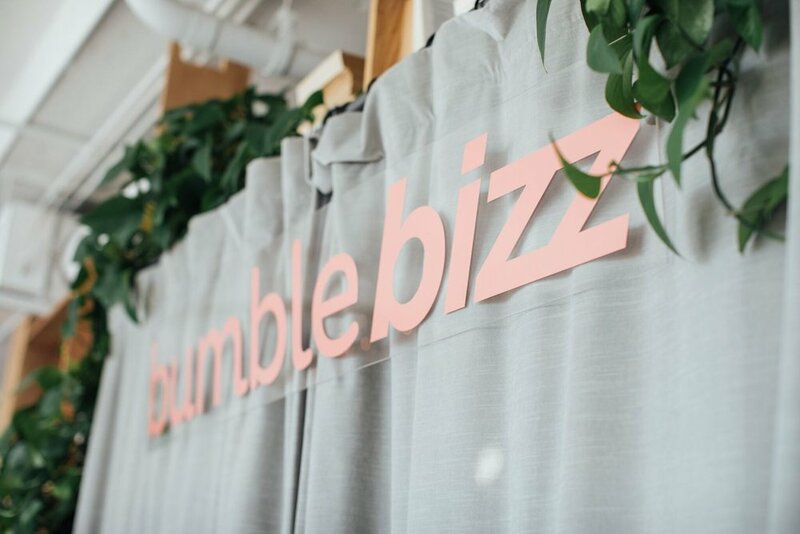 On October 26th 2017, Bloggers Who Brunch hosted the Los Angeles launch party of Bumble's newest platform, Bumble Bizz. Taking place at the stunning Hills Penthouse West Hollywood, The Bumble Bizz "One Connection" Launch Party brought together the city's most notable bloggers, influencers, and businesswomen for an afternoon of incredible networking. Event attendees brunched at the delicious parfait bar, popped bubbly courtesy of White Girl Rosé, and enjoyed a panel discussion from two of LA's top girlboss entrepreneurs. Moderated by Bumble's very own Brooke Reagan, businesswomen Teni Panosian (Fashion/Beauty Blogger and YouTuber) and Nina Ojeda (Founder, Prête Beauty) shared their stories of success and the "one connection" that helped propel them on their current career path. Along with receiving tons of Bumble swag, all attendees were gifted products from our amazing event sponsors. Thank you to Maybelline, Oribe, and Prête Beauty for gifting our incredible group of girlbosses!!! To download Bumble Bizz and start networking with professionals in your area, CLICK HERE! To learn more about the Bumble Bizz platform, see below! Bumble, the female-first connection platform where over 20 million users come together for love, friendship and now networking, has announced the highly anticipated launch of Bumble Bizz. Bumble’s fresh take on networking, with an emphasis on opportunity over job hunting, will be the first to bring the “swiping” and “women first” experience to professional connecting. Adding to Bumble’s vision of becoming the ultimate social network for people you don’t yet know, Bizz is powered by the notion that one connection can lead to the opportunity of a lifetime. Bumble Bizz is now live in the United States, Canada, United Kingdom, France, and Germany, and will be available globally soon! Bumble Bizz instantly connects you with potential mentors, industry leaders, brands — and maybe your next business partner.